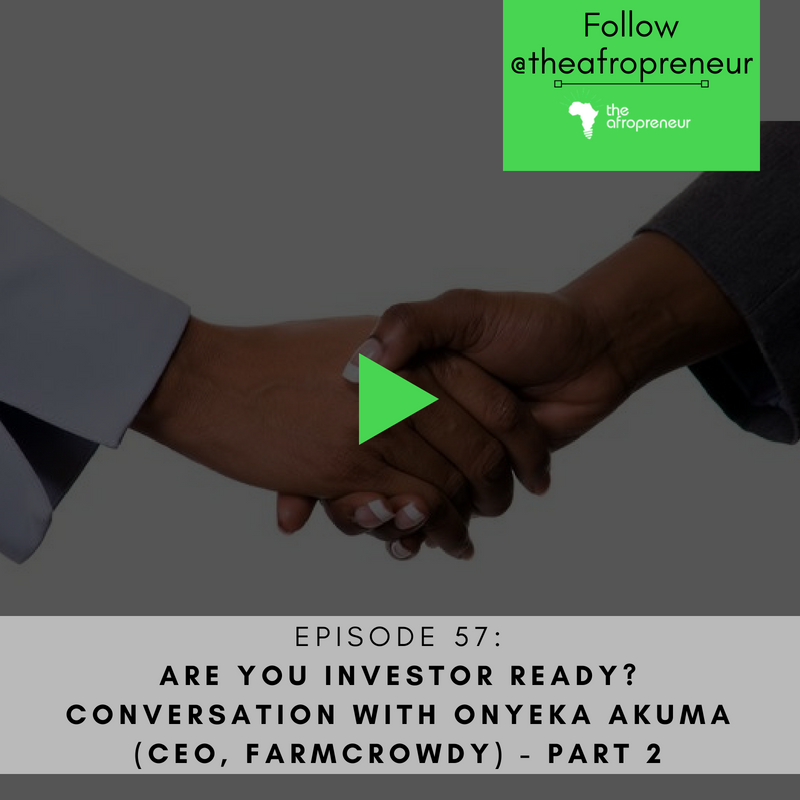 In our last episode we featured Onyeka Akumah, CEO of Farmcrowdy, Nigeria’s first Digital Agriculture Platform. Onyeka gives us tips on how to and make your startup attract that investment you need. What do investors look out for? The idea – real, rich & impactful ideas with depth. Market – where? How many people? Where are you today? What have you done? Do you have experiences in relation to this topic to share, please send us an email or share in the comment section. Someone might just learn from it. If you want to hear more from The Afropreneur Podcast including and beyond the podcasts, join the newsletter mailing list.